Planning is little more than beginning with a dream or a vision, turning that into some goals, and then creating the step by step instructions on how to achieve those goals one after another. A good plan will tell you exactly where you are going and what tools you will use to get there. Once we have an idea of where we’re going, we start Collecting and assessing our tools and resources. From the moment we had a dream we had already begun the Doing. Doing is the journey, a plan is like a map, tool is like a car, and Doing is the actual journey to your destination. You already have an idea what your life would be like if it were a dream come true. You had taken the crucial first step before you even arrived here, that’s why the Quick Start 7 begins with giving you seven tools which can be used to create anything. Let’s do a quick review of all seven tools, and then progress into putting them to use. Taken one at a time, these are each powerful tools, but when taken together, they begin to compliment one another in powerful ways. Let’s briefly summarize these one by one and I think you’ll begin see how they fit together to creating a tremendously powerful concert of creative potential. We begin by Unifying our Perspective. As we saw in Science and Spirit Unite, there are basically two perspectives: One perspective asks you to have improvable faith, the other asks you to abandon faith and accept only proof. Having a Unified Perspective frees you from wasting time! We are here to create the life of your dreams, not to argue about it, we are here to do it, not waste time with theory or contradictions. The Unified Perspective tool is so simple and so powerful, it states: Faith has been proven scientifically valid. Here’s the trick of applying the Unified Perspective Tool: Faith is real, Scientifically Valid and proven, being real, it is therefore measurable: You can have a little bit of faith, or a lot! With the a Unified Perspective you understand beyond any doubt, small goals require little faith, large goals require large amounts of faith. The bigger your dream is the more faith it will take to get there. 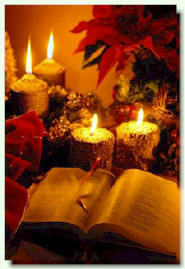 This leads us gracefully to the second tool: How Do You GET more Faith? If faith is real and scientifically accepted as such, the more we have of it, the more we can use it to create whatever we want! 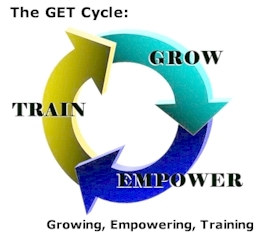 Enter the GET cycle… The second tool in the box is the GET cycle: Growing, Empowering, Training… This tool is about as subtle as a kick in the shins. There is nothing complex about it. It works in your life, in every ones lives no matter what. The GET Cycle it repeats over and over throughout with or without or guidance, so why not take hold of it? It is happening with or without or help, why not make use of it? Like a raft makes use of the current in a stream without effort, you can use the GET Cycle to get wherever you want to go, to get whatever you want to have. Here’s how it works: We are always Growing. We grow stronger, or we grow weaker. Physically, mentally, and emotionally we continue to grow until we reach a threshold, a threshold is a limit where we can grow no further without making a change. That change is called: Empowerment. We become empowered to see things in a new way, do things in a new way, to do new things. We think differently, act differently, behave differently, and our very view of the world becomes new. Empowerment is the idea of insisting that we grow for the better, that we continue to improve on our present situation and circumstance through our willingness to grow. Once we accept our new power, see things in a new way, we begin the process of Training. 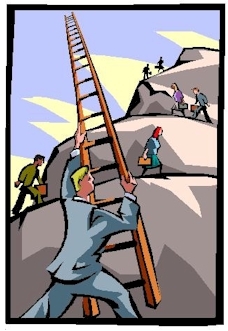 Training is making our new skills, talents, and strengths part of our very character. Training is consciously guiding growth. Training is the decision and actual practice of growing for the better. At first our newly empowered skills are difficult, but through training they grow easier and easier until they become part of us and then the cycle repeats again. What you need to understand about the GET Cycle is that it is a cycle, it repeats without ever ending. You never arrive at the end. When you accept that the journey is the destination, at that moment you become free. People often think their life will become better once they achieve their goals, only to be devastated when achieving a goal accomplishes nothing. Immediately begin to celebrate the journey. Understand that the Universe will not let you end, that every destination is just another destination on an unending journey. Continue to ask more of your self, continue to raise your standards, and enjoy it, every step of the way! But how? How do we make the journey as satisfying as the destination? Enter the Fundamental Principle.